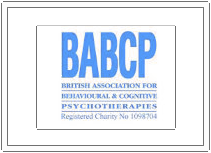 You may have heard or read that CBT is formulaic, that it's about 'brainwashing', or that it fails to acknowledge or consider the importance of past events when addressing difficult issues in the present. This is not the case. 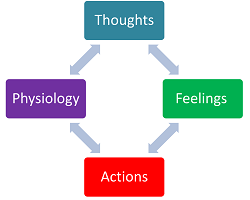 It is true that with certain problems, such as panic or specific phobia, although something may well have set things off in the first place, the focus of treatment is very much on the here-and-now and retraining the brain to engage in more appropriate ways of responding to triggers. However, where problems are more complex, we will certainly explore how the past might have contributed to the present, but with a view to moving forward. So, we may well take a compassionate look at the past to provide information, understanding and a route to self-acceptance. But fundamentally, we are looking to bring about change in the present and future. CBT is very collaborative – in other words, clients are actively involved in the design of their own treatment goals and methods. This sense of ownership of the process plays a large part achieving a successful outcome. In CBT, we do not do things to you, or reach conclusions about you which we don't share: we work with you to support change. It might help to read a couple of case studies to see how CBT works (based on the kind of issues we deal with, rather than actual clients).